Mummy had always wanted a X'mas tree since she moved out. For the first year, she was too busy with her wedding prep (and probably extremely broke) to get one. For the second year, she was too busy with her move to NYC to get one. And for year 3, yours truly (aka Sam) came along and turned her world upside down. 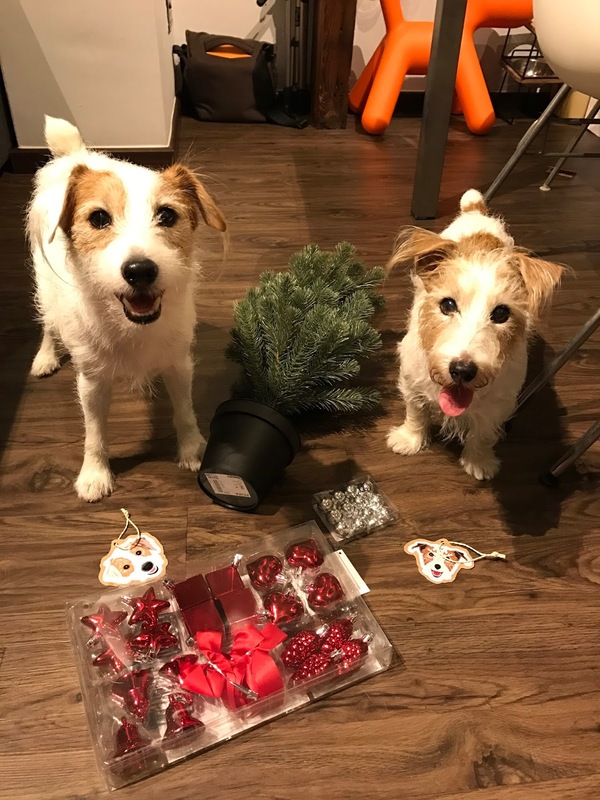 So, the christmas tree never did happen. The subsequent years since I became part of the family, I always look forward to the annual debate of whether we should get a tree. Without any doubt, the answer will be unanimous. Mummy and Daddy: "Cos we think Sam will pee on it." Oh wow, thanks for the trust huh. This year, Mummy decided to finally take the plunge. this tree is bloody small. 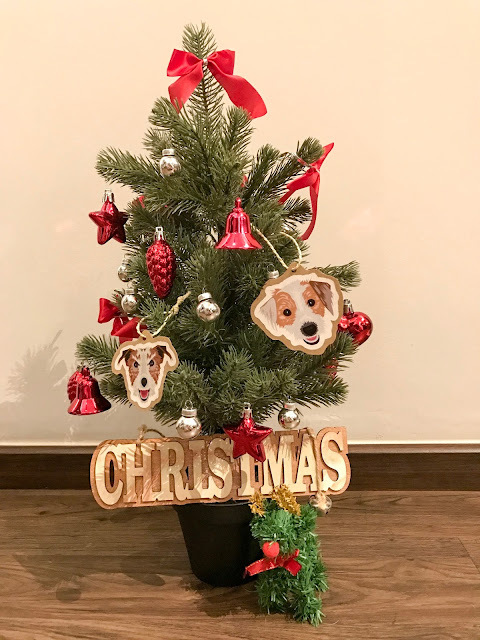 Mummy finally decided to purchase a miniature tree to satisfy her 'cravings'. Of course, no tree is complete without our own special touch! 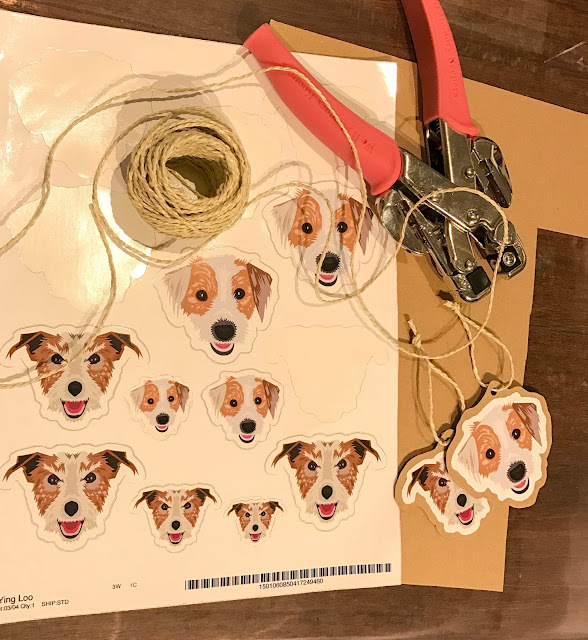 Using stickers that mummy printed for us previously, she very quickly made our very own Sam & Pecan's ornaments! There is a reason to my 'excited' face. 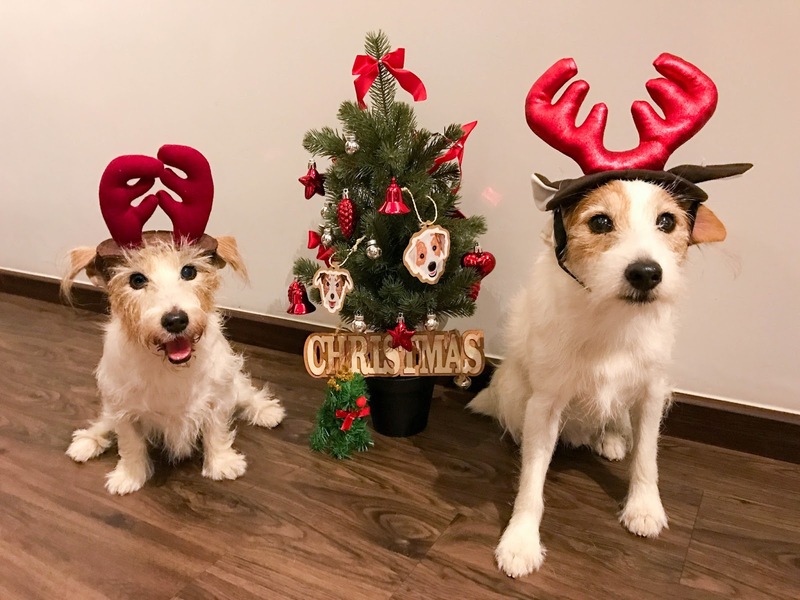 Just when we were all merry and sniffing around the tree, Mummy announced that no presents that we will be getting will be bigger than the pot of the tree. To make me feel better, Mummy gave me a challenge - to not pee on this little guy. And if I managed to do so, she will finally consider a full size tree next year!